Some days nothing will do but brownies. You had a long day at work, a terrible commute, you're tired and all you want is chocolate. My answer to that is : Brownies. 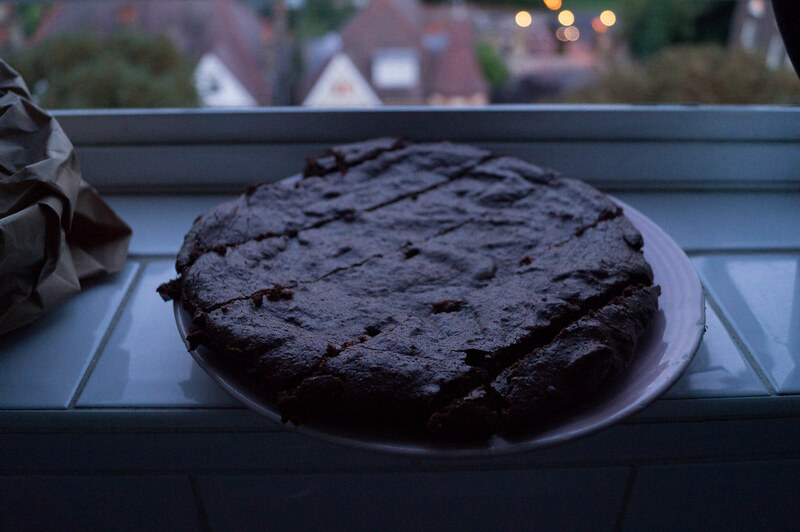 So one evening last week I found this delicious recipe for some flourless brownies from the goddess that is Nigella. 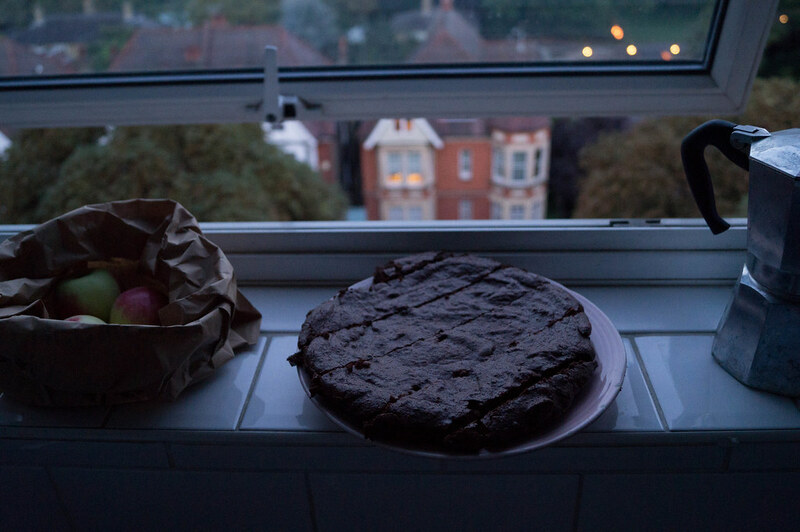 I can tell you they were delicious, fudgy and I could have them all day long.. I tweaked the recipe a bit and added a (very ripped) banana and used a little less sugar and flour (because of the banana). Oh and I also used pecan nuts instead of walnuts - to die for! Recently I've been making a point of eating less wheat and actually trying to cut it out of my diet. I've been feeling so much better, even after 2 short weeks. I read this book called Wheat Belly by William David MD and it just opened my eyes, so much that I've decided to do something about it. I have to admit that it's not easy, wheat is literally EVERYWHERE. Nutrition fascinates me, I would really recommend the book to anyone. I'm a long way away from being totally wheat free and I don't know if I'll ever stop completely but by cutting out a LOT of it I've been feeling much better, even lost some weight along the way and I've also taken more time to cook and bake. I say that's a win.